Welcome to the AGLOW Portal for Members. Use the menu to pay dues, register for conference, and use the member directory. 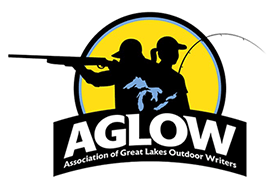 The 62nd meeting of the Association of Great Lakes Outdoor Writers will take place in the spectacular region of Bismarck-Mandan, North Dakota next year. Conference dates are September 10-13, 2018. The Baymont Inn & Conference Center will be the host facility for the event, sponsored by the Bismarck-Mandan Convention and Visitors Bureau. The dates of September 10-13 will provide numerous shooting opportunities afield in addition to fishing. Stay tuned for more updates and information about this exciting Fall celebration of AGLOW membership. Get more information about Bismarck-Mandan at their website NoBoundariesND.com!